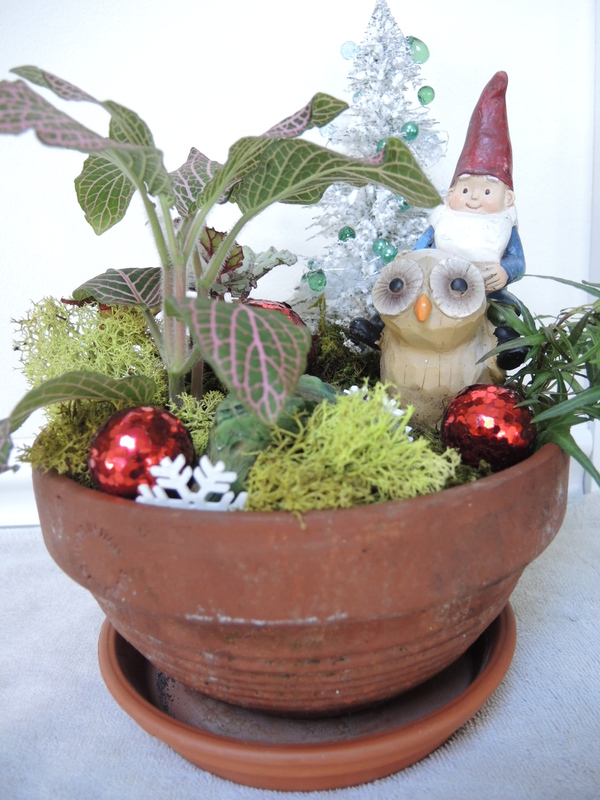 It seems that Christmas decorating goes hand in hand with miniature gardening. For the frustrated gardener who looks outside and there is snow on the ground, there are lots of indoor gardening options. 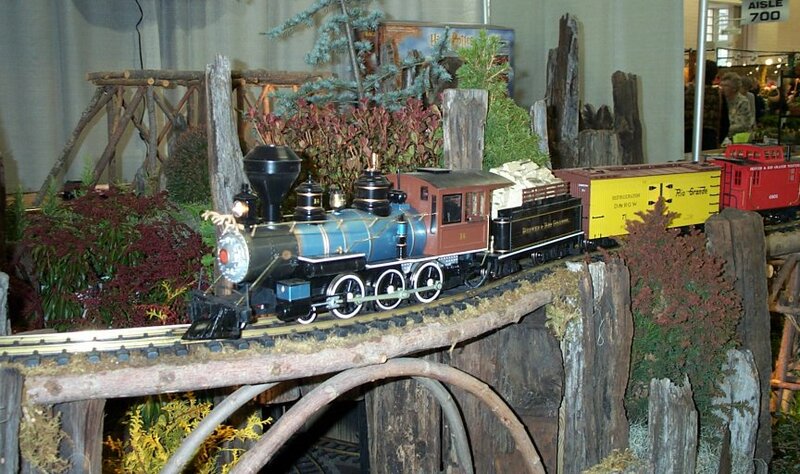 Train gardens, miniature landscapes, or edible gingerbread ones, are great subjects for using your gardening and landscaping skills to make the holidays come alive. You can’t garden outdoors, so the next best thing is to garden on your windowsill. 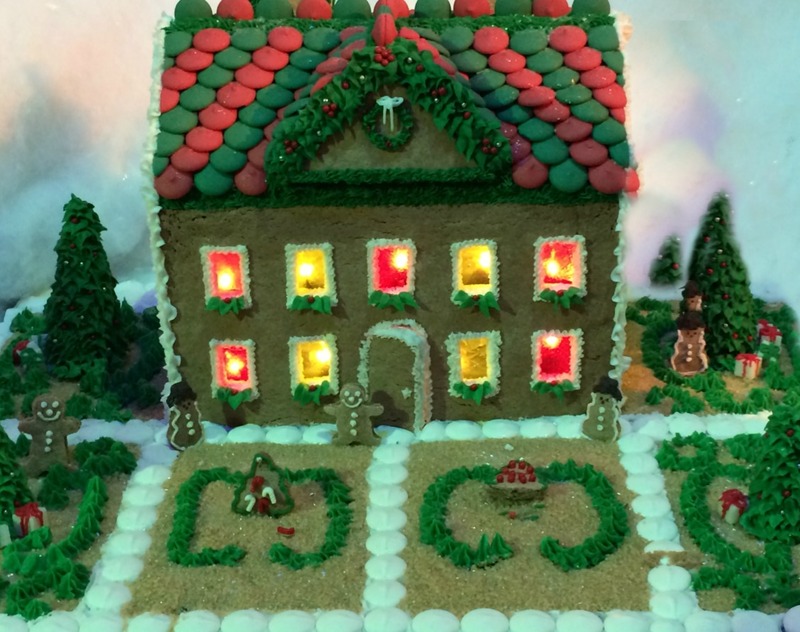 When I make my gingerbread house each year, it usually has a garden theme. 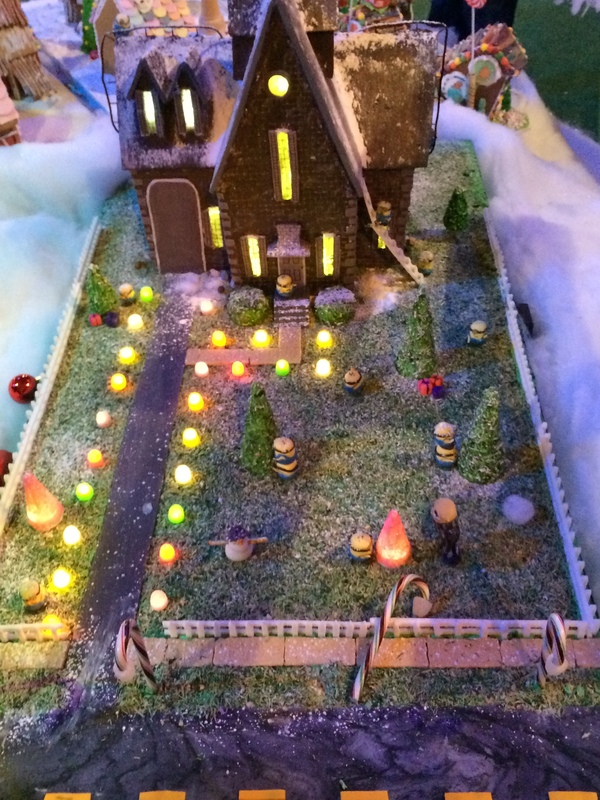 I have done potting sheds, farm scenes, three little pigs, Hagrid’s house with his pumpkin patch, and topiary gardens. 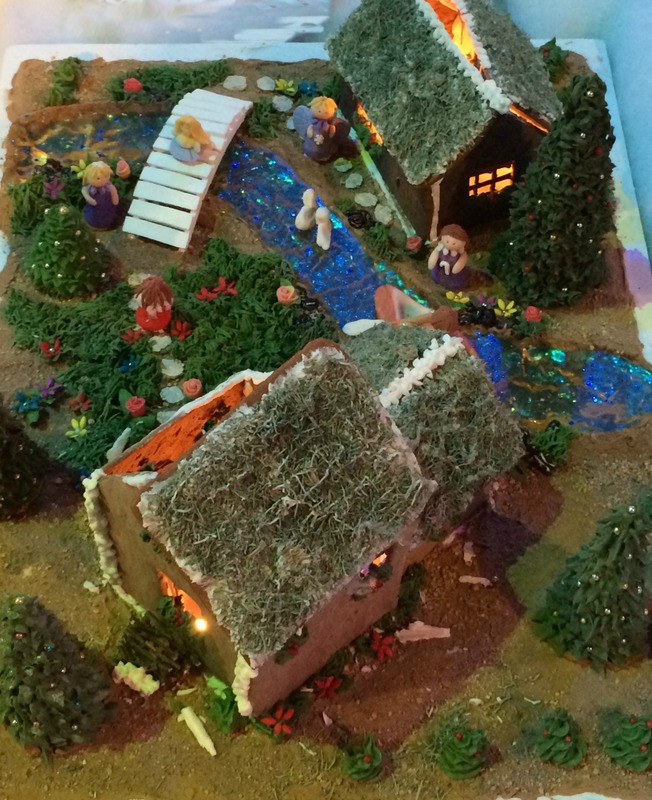 I saw some good examples of landscaped Gingerbread houses at The Festival of Trees this year. 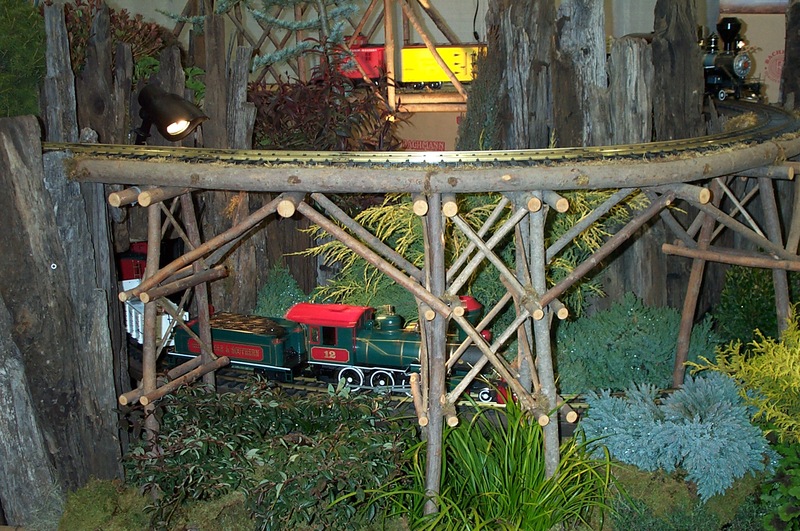 Train gardens are fun to put together with live plants, or make use of the life-like colored foam for bushes and trees… a lot less care! 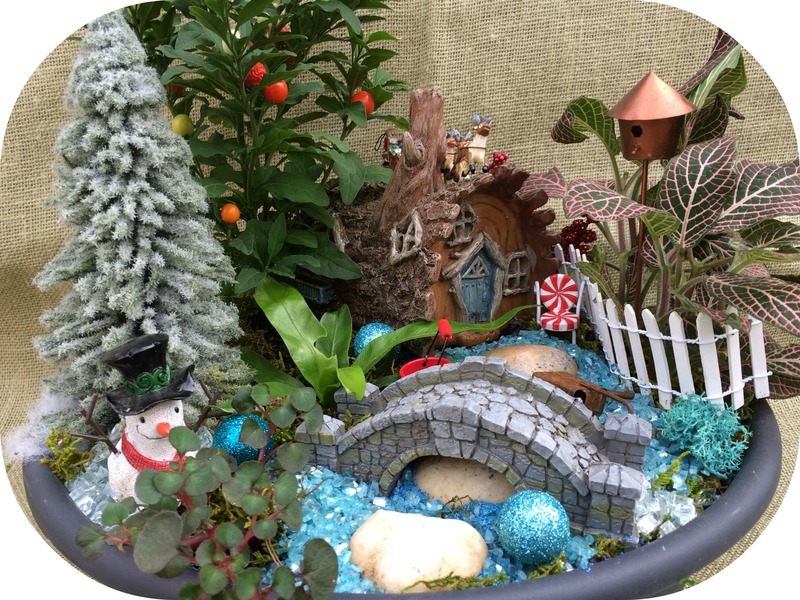 After spotting a Christmas miniature garden at a local nursery, I was inspired to create some fairy gardens as Christmas presents, but on a smaller scale. Shopping for plants, buying little miniatures, flaky snow, gravel, and moss was fun, but the best part was putting them together. 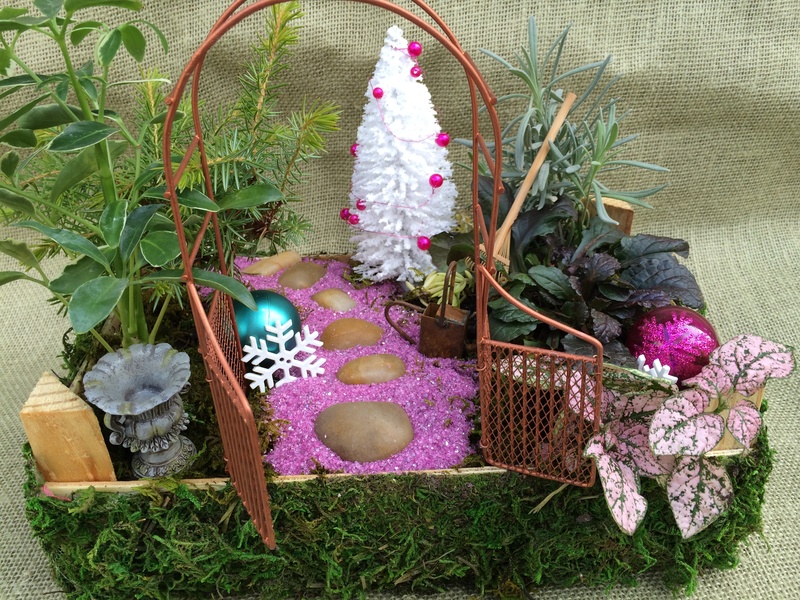 Go to my post on basket gardens for Christmas at Mini Garden in a Basket for the ultimate gift for a gardener. For miniatures, I search the Christmas ornament aisles at a local craft store. 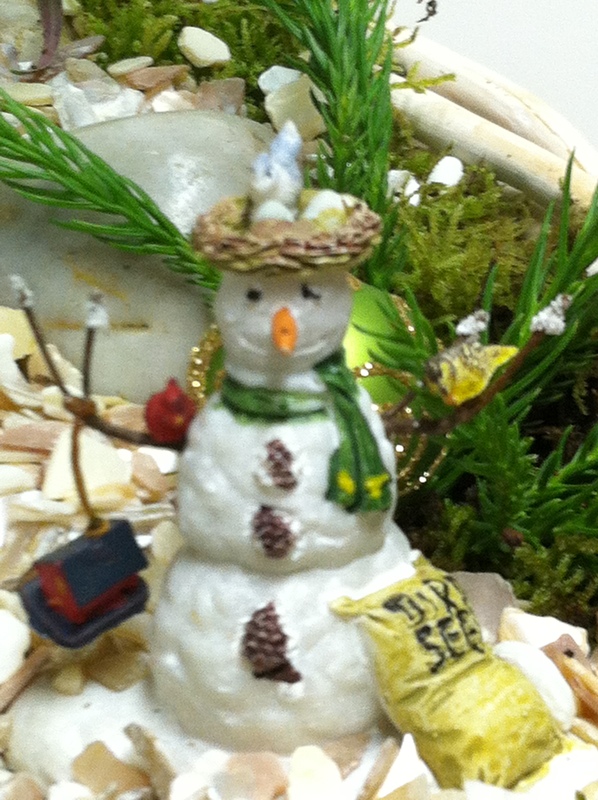 I found this perfectly scaled snow man for a garden. I love the dish gardens decorated for Christmas with balls, glittery gravel, and mini Christmas trees. When Christmas is over, you can remove these things and substitute spring miniatures to get you ready for spring. I replace with bird baths, benches, tiny turtles and frogs, and watering cans. The hardest part is finding a wide shallow container, and in searching for the perfect container, I spied clementine boxes and found them the right size for a small landscape. Look for the wooden ones- not cardboard. Already prepped with drainage holes in the bottom, the only thing left was to remove some labels off the ends, and cover all four sides with hot-glued sheet moss. I have had one of these planted for about 2 years, so they do hold up. The big box stores are full of small houseplants for landscaping. Sometimes, I buy a larger multiple plant and split it up among different gardens. The pink polka dot plant in the right hand corner and the mini sheffalaria on the left are some of my favorites. The polka dot gives foliage color and the sheffalaria gives some height for the garden. The above garden also has a miniature conifer, a seedling lavender, and a creeping ajuga. As these plants grow, I will trim them back to keep them neat and tidy. In the summer, I will transplant the lavender and ajuga as they outgrow the space, to the outdoor garden and fill in the box garden with something else. These mini gardens are not static and need to have plants trimmed or reused somewhere else, to keep them maintained to a miniature size. 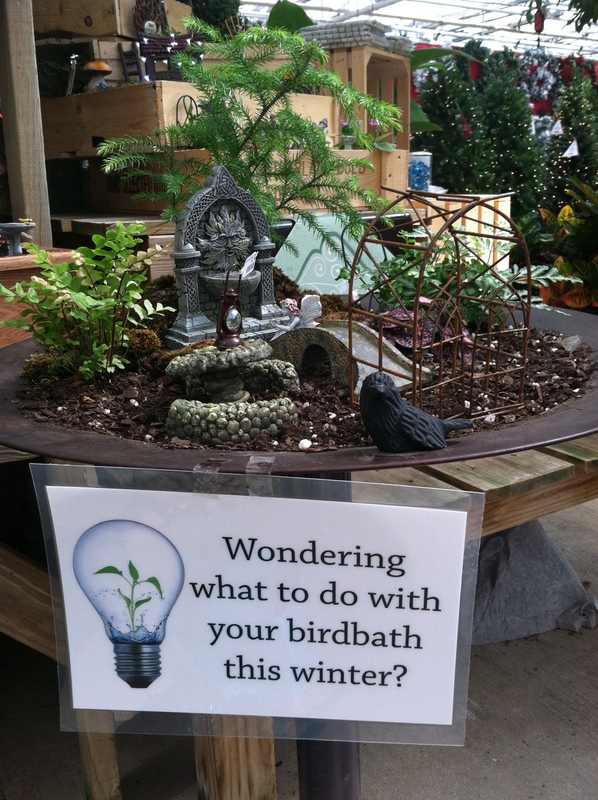 Bird baths are a great opportunity to plant mini gardens in the winter also. I saw this example at a local nursery. For the gardening challenged, these enclosed globe gardens are perfect! Low maintenance, and they last for months and months with minimal care. Hang them up in a window with fishing line so you can enjoy them. Go to Green Up Your Winter With a Terrarium to see some more examples of terrariums and how to create a unique one. 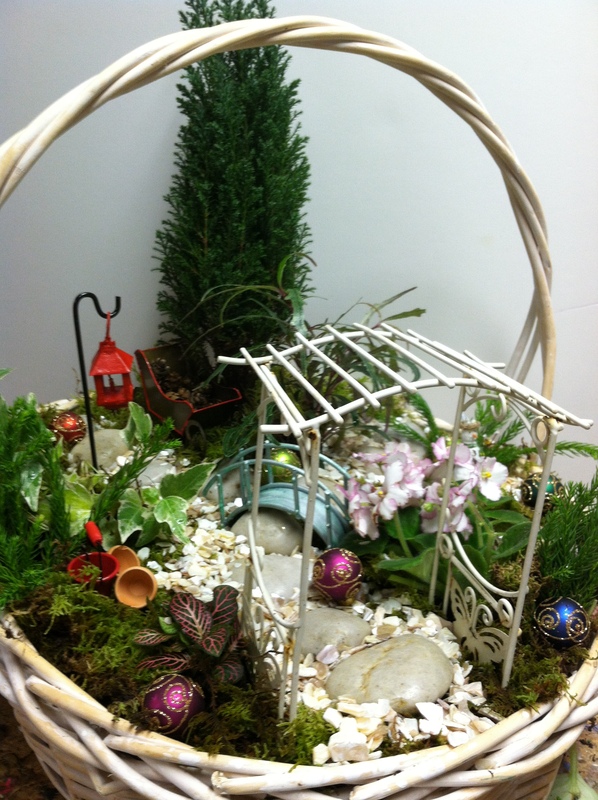 Go to Creating Fairy Gardens for more ideas on dish, outdoor gardens, and terrariums. For directions on Gnome Homes, go to Home for a Gnome. I’m so inspired but so much must wait. Loved everyone of them. great stuff!! I am a new gardner and a new blogger myslef, pls check out my blog. Enjoyed all small fair gardens and am trying to find inexpensive small figures to make fairy gardens with Junior Gardener children thru our Silver Fancy Garden Club. Also , where can I find inexpensive succulent plants for the gardens? Please help. Thank you . Janet Hatter. Janet, My best source for cheap succulents is Home Depot and Lowes. For figures, I use Joanne Fabrics, Michaels, and Holly Lobby. Sometimes Tuesday Morning has good things also.